Election day is fast approaching and it’s time to make your voice heard. We recently interviewed Heather Smith, the President of Rock the Vote, a non-partisan, non-profit that seeks to build political power for young people. n 1990 and has registered more than 5 million young voters. 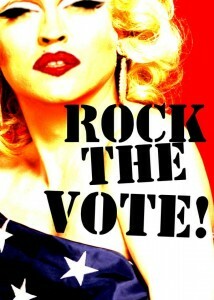 RTV uses music and popular culture to motivate and mobilize young people to participate in every election.The very first Rock the Vote PSA on MTV featured Madonna wrapped in an American Flag. More recently, they’ve worked with Christina Aguilera, Samuel L. Jackson, Fall Out Boy, Wyclef Jean, Jamie Foxx, and many others. In this interview Heather shares her story about how she got her job at Rock the Vote. 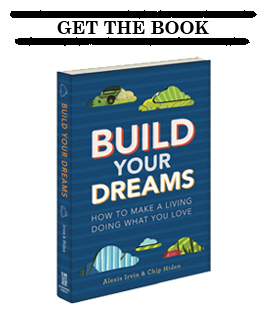 She also provides great advice for anyone thinking about pursuing a career in non-profit work. Before you watch the video, make sure to register to vote if you haven’t done so already, and locate your polling place.